Jean-Francois Charles started composing and performing the Electroclarinet series in 2009; he has played these works in China, France, Finland, and the United States. The album features each of the six clarinets with live electronics, from the small Eb clarinet to the classical Bb clarinet to Mozart's cherished basset horn to the exuberant contrabass clarinet. Jean-Francois Charles has performed with classical, jazz, and other sound artists, from Maurice Merle to Douglas Ewart, from Gozo Yoshimasu to Karlheinz Stockhausen; you will hear all of these influences in the Electroclarinet album. In four of the featured works, Charles pays homage to the spirit of freedom, theater and adventure that animated four great composers: Claude Debussy, Olivier Messiaen, Igor Stravinsky and Carl Maria von Weber. Jean-Francois Charles creates at the crossroads of music and technology. From his work with poet Ruth Lepson and flutist Mario Caroli (Live Saturation, 2009) to the 52 minute collaborative soundtrack to Dziga Vertov's movie The Eleventh Year (with Nicolas Sidoroff and four other musicians, 2015), to his musical chemistry work with glassblower Benj Revis (Aqua ignis, 2018), he has thrived in blending diverse acoustic and electronic sonic personalities. 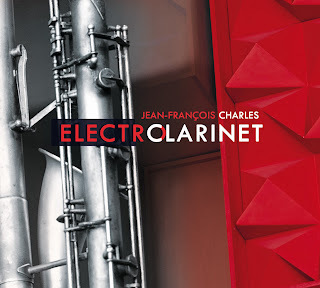 Electroclarinet, Jean-Francois Charles's first solo album, features a unique blend of acoustic performance and live electronics. The electronics were produced and recorded live, at the same time as the clarinets. Excellent mixing and mastering complemented this process to deliver a sound with exceptional organicity. Composed and performed by Jean-François Charles.